Don’t talk to strangers. Never drink from anything that has a skull and crossbones on the label. Avoid bananas while driving. If you grew up alongside a Nintendo system, the odds are that Mario Kart‘s quirky rules will be etched indelibly into your brain. The series’ legacy is so entrenched in gaming culture that it can be tricky to remember the days before we learned to power-slide, to drag a defensive shell behind us or to clench reflexively at the ominous trill of a blue shell. The child’s doodles in the background of some screens form an odd thematic bridge between Super Mario World and Yoshi’s Island. Coincidence? Probably. Each new entry has become an expectation; whether you’re surrounded by friends in front of a TV or wedged uncomfortably on a crowded train, you know that sooner or later there’ll be a Mario Kart to enliven your evening or shorten your journey. The titles have a unique advantage that make them immediately comfortable — by making Mario and his chums so ubiquitous, Nintendo has taught us all a convenient shorthand to understand the games it brings us. Whether it’s karting, golf or soccer, Bowser will never be anything less than a lumbering powerhouse and stars will always be things to covet and strive for. With Mario games, we appreciate something of the strategies available before we’ve even begun to play. In 1992, attitudes at Nintendo’s Kyoto headquarters were very different. Rules around Mario’s presence in a game had relaxed somewhat, but his inclusion wasn’t being automatically considered. Instead, Hideki Konno and his team were busy prototyping a racing game that could deliver two-player simultaneous play (the recently released F-Zero had been a solitary affair) and were focusing largely on the implementation of this idea and the exploration of mechanics that would eventually become Super Mario Kart’s battle mode. Had the portly plumber not been added as an experiment, we might have been dodging oil cans as an overall-clad mechanic instead. Mario’s inclusion didn’t sit well with critics of the time, either, with a few of the more cynical reviewers pondering what random pastimes Mario might be wheeled out to front in the future. In fact, the game as a whole received what Metacritic might call a “mixed reception”; UK stalwart Total! gave the game a grudging 50th place in their Top 100 Games, and other reviewers joined them lamenting the title’s perceived simplicity — although the battle mode was generally better received. Coins remain one of the most divisive features in the series, rewarding certain racing lines but punishing poor players by slowing them down. 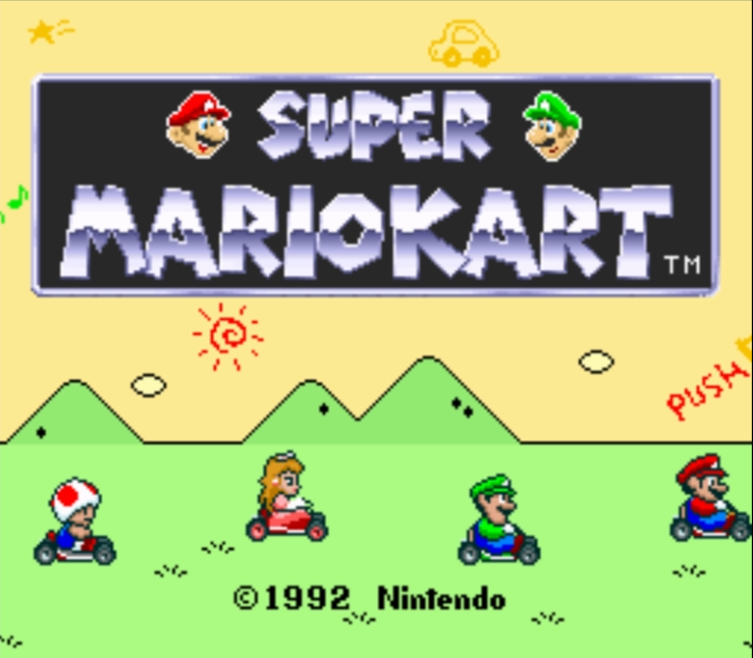 While it’s easy to dismiss these early judgements in the light of the series’ massive success in the decades that followed, with Super Mario Kart itself going on to become one of the SNES’s best-selling games, it was clear that while huge effort had gone into creating a deep and nuanced two-player game, the experience in single-player left a little to be desired. The AI drivers behaved in ways that far outstripped the abilities offered to human players. While flesh-and-blood participants did battle with a limited supply of power-ups (placed sparsely compared to the game’s sequels) computer opponents were willing and able to unleash an unending supply of fireballs and other weapons. On higher difficulties they could be often by spotted sending projectiles out at right-angles to their direction of travel, or landing them effortlessly on the player’s head before avoiding a retaliatory assault using superhuman leaps and bounds. Couple this with a baffling Rivalry system, where the “best” opponents were pre-ordained based on the player’s choice of character — any attempt to sabotage the running order would see the victims graced with impossible speed until they were back where destiny intended — and playing single-player Super Mario Kart could feel like bringing a sword to a gunfight. The aggravation that ensued was a precursor to the more-recent frustration felt when you’re scuppered by a blue shell launched by some inscrutable AI drone rather than the person sat next to you. The quirks of the Grand Prix races were apparent even then, and revisiting Super Mario Kart today they’re even harder to overlook. Add a second player to the mix, however, and the result is transformative — you immediately start to see where the team spent the bulk of their time. The zip boosts and extra power-ups, eternally ignored by the computer, suddenly become hotly contested as you hurtle around the first lap looking to seize the low-hanging fruit; the dwindling coin supply adding to the frantic, grasping nature of each short race and turning otherwise unremarkable corners into risk/reward-driven dilemmas. Yoshi’s mouth is permanently open whenever he’s viewed from the side. 22 years later it’s still deeply unsettling. 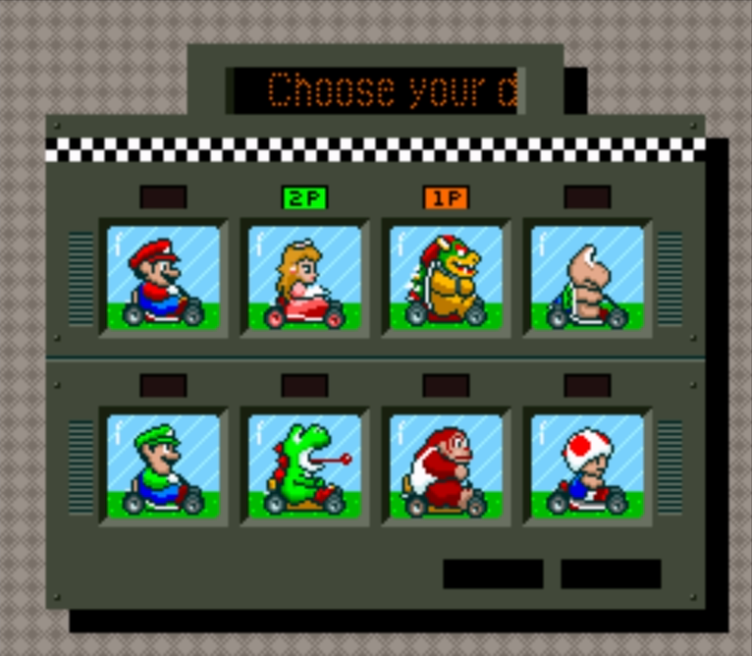 Even with the power-ups, a Super Mario Kart contest relies more on pure racing nerve than any other entry. Over time you’ll realise that the seemingly innocuous hop can carry you over oil slicks and even bananas, learn the different engine classes and the way they overhaul the worth of a particular racer (on 50cc, Koopa Troopa and Toad can actually be better off cutting across the grass) and be ready to memorise and sabotage the racing lines of your opponents. While it’s possible to attribute at least some of the critical indifference to beleaguered journalists reviewing the game alone, there are a few other design choices that have quietly slipped away from future installments. 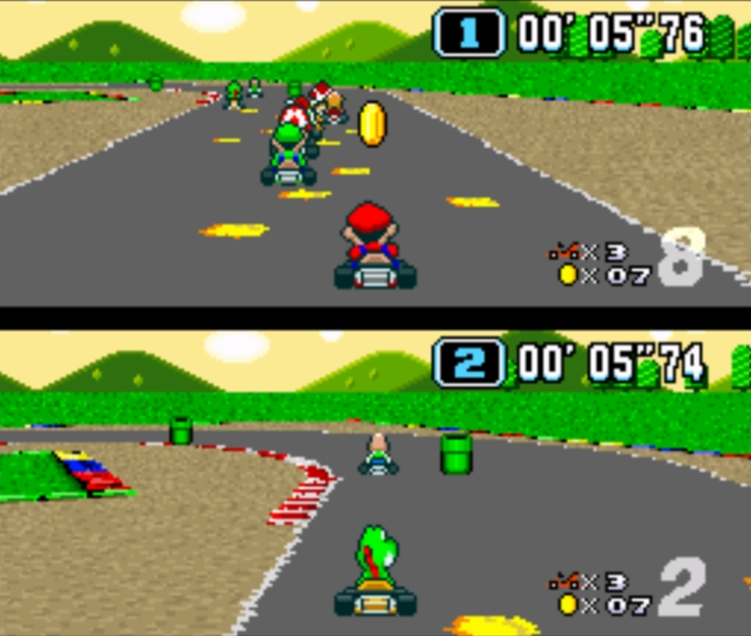 In Super Mario Kart, just like F-Zero, players will lose lives if they don’t place in the top four — on the one hand this offers a do-over to prevent those last-minute accidents from ruining an otherwise flawless race, but it can also lead to an rookie player staring disconsolately at a greyed-out screen, inanimate in a supposedly “multiplayer” mode. Not that a Grand Prix was necessarily the best way to spend an evening with friends. Time Trials may have offered long-term bragging rights but the game’s battle mode was a revolutionary experience for SNES owners. It preempted Doom and Marathon alike by bringing a form of deathmatch that only a few titles, like Faceball 2000, had even attempted — least of all on a single screen. Battle mode’s popularity has dwindled over the years, with the rise of the first-person shooter providing more elegant ways to hunt down your friends, but the value of its inclusion in Super Mario Kart should not be underestimated. With its tight turning circles, lazy drifts and relative paucity of weapons, Super Mario Kart can seem twitchy and impenetrable to players used to more recent entries – the same entries scorned by the sort of purists that bemoan the series’ tendency to level the playing field. In its day, though, it was one of the more inclusive titles in the SNES’s catalogue — certainly the only video game I can remember my parents playing together — and for at least part of that we must look beyond the talents of the team, to Mario himself. From the visual distinctiveness of the characters to the intrinsically understood properties of outlandish elements like fire and ice, the tenets of visual design that underpin the Mario universe are as important to Mario Kart as the racing mechanics themselves. Oil cans? I’ll take bananas any day. Let’s start with the obvious one. So tarred is the GTA series by its controversies, its cantankerously misogynistic plot lines and its own undeniable success that including a Grand Theft Auto in your Game of the Year list can almost feel like a shameful admission. Yes, part of me did enjoy running over that granny – but that’s not the reason it’s made my list; nor, I suspect, the list of anyone who’s of an age and disposition to write about the games they play. GTA V simply oozes ambition (so a quick wipe with a cloth is recommended before you put the disc in) and while that ambition doesn’t always crystalise into quality, it reaches the player through a sense of scope and opportunity that GTA IV, its gloomy younger brother, rarely managed to attain. Someone recently expressed a desire to me that games media stop awarding points for “effort”, but I’m not sure I agree; I think players can both apprehend and appreciate a sense of hard work, even if it isn’t quite the same as craftsmanship. GTA’s shooting mechanics are functional, but never exceptional. Indulging in cars with multiple headlight settings and fold-away canopies leaves the player cortorted horribly around their controller trying to change the radio station. There are collectables, but only the most obsessive players will care to find them without the checklist so thoughtfully provided by Rockstar themselves. The characters brush against defining events before stumbling back towards the status quo. (Trevor and Michael lose and gain loved ones at the whim of a mission structure, without any real agency from either the characters or the player.) There are few occasions where the moment-to-moment gameplay of GTA V is anything more than “solid” and yet there is such a banquet, such a wealth of sight and sound available at anyone time, it’s a remarkable accomplishment that even satisfactory results have been achieved. After all, there are games that don’t even succeed in aping just one of the diversions Los Santos tosses casually onto a tennis court or shooting range. GTA’s ambition is exciting because, with minor stumbles, each iteration noticeably improves and refines what’s gone before – cruising out around Mount Chiliad at sunset, it’s not hard to imagine a day when these cars will feel as good as a racing game, the gunplay as weighty and satisfying as a finely-tuned FPS, and the characters we interact with as likeable and nuanced as the anti-heroes we indulge in elsewhere. Maybe you don’t consider GTA worthy of such a lavish stage on which to play out its chauvinistic mafia stereotypes and bellowed satire, but its ambition is infectious and the game becomes engrossing through the sheer scale it asks you to consider and the choices that scale provides. And in the future, well, maybe we’ll surpass the am-dram and see the same sprawling canvas turned to tales that really do engross and decisions that matter. Anything can happen on a stage, after all — and no-one builds a theatre like Rockstar. Indeed, it’s testament to the opportunities afforded by an open-world “stage” that both GTA V and the fourth installment in the Saints Row series could come out a couple of months apart and provide substantially different experiences. Described quite fittingly by Ben Croshaw as “Mad Mad Mad Mad Mad Mad”, this is a series that has deliberately tuned its core mechanics to be biased, unwaveringly, towards the player. This isn’t to say that the game isn’t occasionally frustrating, mind you, but the intention is clear – keep the player feeling powerful, keep the objectives ridiculously clear and encourage experimentation. It’s the superpowers that help keep the game firmly out of GTA’s bailiwick, of course. It’s interesting to see how carefully separated the new abilities are from the Saints Row of old; stick to traditional activities like shooting and driving and you’ll level up, as the Saints always have, and unlock better things to shoot and drive with. Superpower upgrades, by contrast, are solely out in the world and it’s physically running and jumping that lets you upgrade… well, mostly your running and jumping. It’s a neat solution to a problem that doesn’t really exist; when you’re able to reach your destination with a few Kryptonian bounds, you won’t be climbing back into a pimpmobile any time soon. It’s for this reason that the initial disappointment at finding the city recycled from the previous game soon becomes irrelevant; the buildings and landmarks are little more than blurry platforms or distant targets and the meat of the story missions take place elsewhere. A game that does its best to avoid the player having to work hard at anything could go disastrously wrong, but makes it ideal fodder for people who don’t get much time to play games – at times, it feels rather like having an in-built Game Genie. Even when you’re stripped of your superpowers temporarily, there’s a generosity of design that lets you nip around the corner to get your health back, or spam the big gun until you stumble out the other end. The truly unexpected heart of the game, though, comes from its characters. Freed from narrative expectations, they’ve gradually established themselves as real people and, even better, real friends. There’s no defining moment in the series where this happens, but the game takes pains to point out how far we’ve all traveled together by giving Shaundi an unexpected plot arc of her own that pulls no punches with the series’ own shortcomings and, implicitly, vows to do better. When all is said and done, you can believe that The Boss and Pierce are lifelong friends in a way that never quite rings true with Michael and Trevor. Oh, it’s really bloody funny, too. It seems like that should be taken as read, but in a generation of space marines popping out from behind monochromatic chest-high walls, any game that can make you laugh is doubly welcome, especially when a lot of the laughs aren’t scripted but from the sheer joyous energy of your own absurd situation and the exaggerated impact of your actions. It turns out that absolute power is actually really good fun. If I were a 90s gaming magazine, this would be the space for a tenuous segue: I’d claim Saints Row and GTA to be twisted mirrors of each other, and then use that to feed nicely into discussing the dual-dimensionality of A Link Between Worlds, right before some art editor ruinsed my grand simile by putting a massive screenshot in the way and forcing the player to hunt around the page for the next paragraph. Then again, if I were a 90s gaming magazine I wouldn’t have been at once so intrigued and concerned about the prospect of an out-and-out sequel to Link to the Past. Yes, LTTP was fantastic and still gets played regularly, but that was rather the problem… wouldn’t I, not to put to fine a point on it, know where everything was? The answer turned out to be “sort of”. Even after more than 25 years in the company of the Zelda series, familiarity isn’t necessarily inevitable. Skyward Sword introduced plenty of new gadgets and some truly devious dungeon mechanics, not to mention taking advantage of the Wiimote’s most reliable gestures to add subtleties like bomb bowling. By deliberately hanging their hat on LTTP’s Hyrule this time around, Nintendo were making a choice; acknowledging that this was retreading old ground and taking the opportunity to play with expectations. In some ways, it was like returning to a childhood home and seeing it transformed by an eccentric millionaire. While the game never managed to bridge the gap between modern Zelda cutscenes and the pace of the gameplay (Ganon was given particularly short shrift) the story could have been told by glove puppets and it wouldn’t have mattered. This wasn’t a world to stand around and drink in the ambience, like Ocarina of Time – it was a childhood dash around a theme park, a dozen glittering secrets all beckoning simultaneously. The dungeons were generally satisfying and occasionally wonderful, with the Palace of Darkness a particular highlight. In all honesty, though, the removal of the map and the dungeon items FROM the dungeons seemed to do away with a vital “tipping point”. There’s a moment in the best Zelda dungeons where you go from being a bit lost and slightly baffled to having a “click” in your head – suddenly, you understand how everything fits together and the rest of the dungeon is now yours to enjoy conquering. 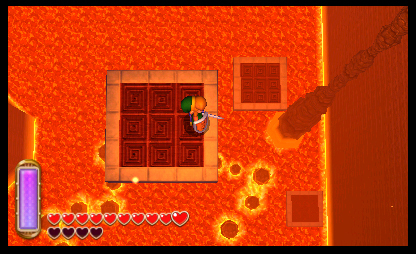 More recent Zelda games have relied on the dungeon item for these moments; you pull a weird gizmo out of a chest, wave it about, and the revelation of its function is accompanied by recollection of half-a-dozen other places it might also be useful. By contrast, dungeons in LBW were often an enjoyable march towards an obvious destination, with all the tools already at your disposal. The success of the item rental system is debatable, but either way, it was a gutsy decision to dust off something so coated with childhood nostalgia and serve it up in the cold light of 2013. Hyrule was never going to seem so labyrinthine, dangerous or imposing as it did when I was ten, but the joy of finding a hidden door or dashing about with the Pegasus Boots may well be ageless, in both senses of the word. For those not in the know; The Stanley Parable is a first-person adventure in which the player guides Stanley through his office building to discover why everyone else has disappeared, with their actions being called out by a narrator. As the narrator generally explains what Stanley’s going to do before the player obliges him, they have the option to pick the wrong door, start backtracking and generally doing all of those things players can do that makes storytelling in games so difficult… and the narrator will attempt to outwit them in return. How and where you impose your free will upon the game (if you do so at all) will cause a number of reactions, each of which acts as a discussion, deconstruction and – at times – game-endingly bleak acceptance of the problems reconciling a coherent, sensible narrative with a player’s desire to, well, play. Not since “THE CAKE IS A LIE!” has the dynamic between a player and the antagonist struck such a chord, and it makes sense. In some ways, Stanley Parable and Portal are bedfellows; they both take place in a dystopian and seemingly endless office environment, both GlaDOS and the Narrator view the player’s refusal to do what’s expected as a personal affront and both respond with a passive-aggressive assault on the player’s worth. Yet where Portal uses its titular gun to deconstruct the expectations of movement and space in gaming (but remains resolutely a game), The Stanley Parable tears down the walls of the world itself and asks why we even need them. Despite moments of introspective nihilism, The Stanley Parable is incredibly funny, blending Monty Python’s surrealism and antagonised monologues with A Bit Of Fry and Laurie’s penchant for metahumour. You can tell a game’s done something right when people are quoting it at you and reviewers are trying to ape its stylings when they talk about it. The fact that people WANT to talk about it speaks volumes. It’s been stated “it’s exactly the kind of thing Steam was made for” but the truth is that the more people who are exposed to this sort of thing, on as many platforms as possible, the better off we’ll all be. Not just for the opportunity to have meaningful conversations about the nature of the games we play, but because they’ll almost certainly think it’s really funny too. Yes, yes, I know. It’s not cheating because it wasn’t available to buy as a UK release until 2013, so there. While it’s true that some of the aspects that made Earthbound so unique back in the 90s, like its modern-day urban setting, aren’t so unique nowadays the general plot is so bonkers and endearing that it scarcely matters. While it’s tricky by modern standards, Earthbound is actually fairly forgiving as long as you accept the simple truth: you will grind. The only real penalty for death is losing what cash you had on you, so tenacity can take the place of RPG experience and leave players free to enjoy the simple things in life, like beating up a giant monster made of sick. Earthbound’s a story about childhood, and the way that children perceive what they see and hear. Adults can get taken over by invisible forces and act crazy; boys use baseball bats as weapons while girls get better results with frying pans. Homesickness is an actual debilitation and must be forestalled by phoning your Mum. Animals can talk and bars are gateways to weird, alternate universes where adults say weird stuff and it’s hard to get to where you’re going. The truly remarkable thing is that so much of this is implicit, waiting to be discovered or ignored by players as they fancy. It’s a far cry from the heavy-handed philosophising of RPGs afforded the luxury of cutscenes, even when the game actually slams the brakes on with a trippy interlude and invites the player to consider how much they’ve accomplished so far. It can be hard to make time for games like Earthbound, especially with the instant gratification of a Saints Row or a Mario 3D World within your grasp. No other game has quite mirrored its atmosphere, nor provided such a weird and unsettling final battle (which, when researched, becomes even more unnerving in retrospect). Most certainly the hardest game on this list to love, Earthbound was worth the wait nevertheless. So I hemmed and hawwed. And I looked out of the window at the zoo instead. I thought about the zoo. Like a big gold puddle that wants to eat you up. And got back to making video games instead. 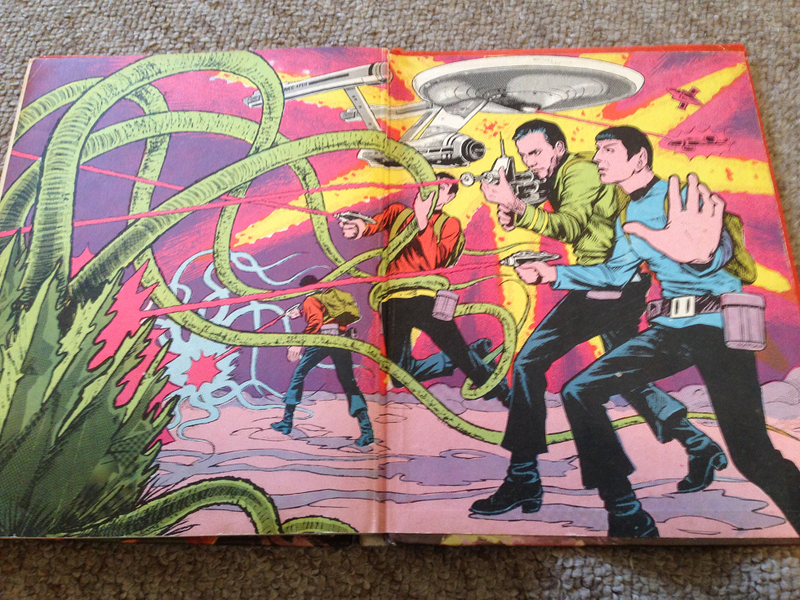 I’ve inherited the 1968 “Star Trek Annual”; a slightly battered hand-me-down from my Mum, who was young enough to have drawn all over the inside cover with callous disregard for the future invention of eBay. That’s okay, though – I keep it around not for its pristine condition or resale value, but because it’s bloody hilarious. There are at least some token “space facts” to make up for the giant vacuum plant on the next page. It! Should be! 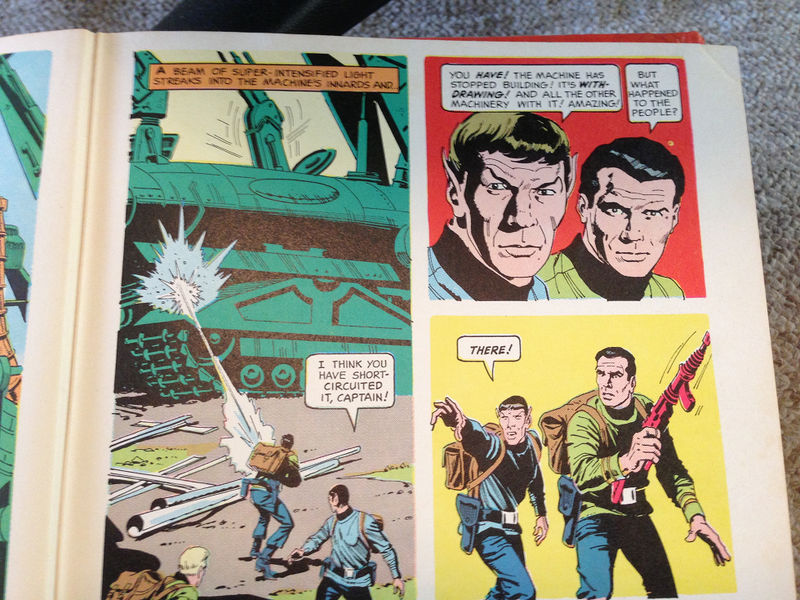 Shatner! Talking like this! The grafitti can only hide the pain. 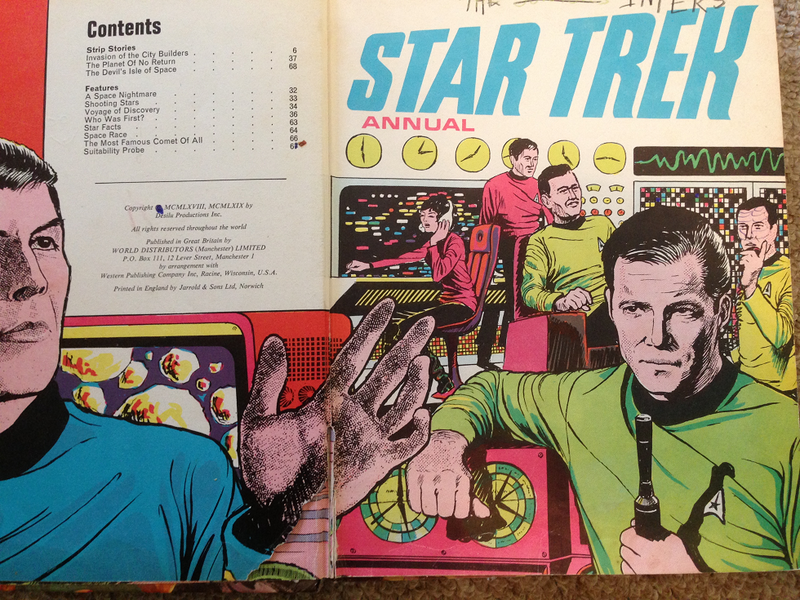 Either way, that thing Kirk’s holding is obviously a medical device he’s about to use to fix Spock’s burned and swollen hand. That, or he’s about to break into his spoken-word version of ‘Rocketman’. 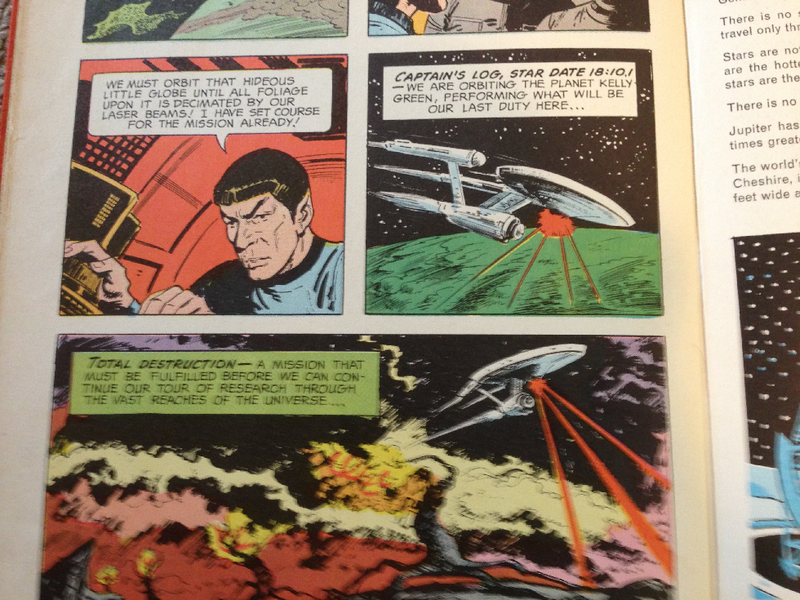 Vulcans long ago abandoned emotion in favour of excessive foreshortening. Huh, I guess his left hand is just ALWAYS that big. Shada, bless it, has been knocked about more times than Ben from LOST. The original script, penned by Douglas Adams (you might possibly have heard of him) fell victim to strike action and was never produced. Since then it’s been resurrected in many a form. Adams himself reused aspects of the story to underpin the first of his Dirk Gently novels, raw footage was pillaged and swirlified for use in The Five Doctors and the story was retrofitted to the Eighth Doctor (you’re less likely to have heard of him), albeit as a bizarre audio-play-but-also-flash-animation-is-this-really-where-our-licence-fee-goes-auntie… thing. And now it’s a book. A book based on a script about a book, no less, and one penned by Gareth Roberts – he’s written several of the series’ more light-hearted episodes since its 2005 return and the bombastic, don’t-stop-running-to-think-about-it tone he deployed in those episodes certainly has the potential to fit the Fourth Doctor’s manic frame like a particularly well-woven scarf. But then, you probably knew that much if you were reading this. What’s surprising about Shada is not the Hitch-Hiker’s references or the period catchphrases; rather, it’s the delight it takes in being a 70s Doctor Who story written forty years after the fact. Roberts plays gleefully with time, seeding the narrative with sly nods to the bit-players and quirks of the Doctor Who universe that, were you reading this while ringing in the 1980s, you’d have to wait three decades to fully appreciate. More than that, though, the spacey-wacey attitude of the older episodes is given a good lick of paint courtesy of modern television. In an era where your oldest episode is only a weblink away, and the angle of a man’s hat is imbued with deep philosophical intent, you can’t afford to take the slapdash approach that classic Who did to its own audience, and many of the nuts and bolts that form the “how?” of the story are given a quick tighten along the way – luckily, without ever dissolving into technobabble. The backbone of the story remains largely unchanged, of course – at its core, this is still the tale that Adams wanted to tell – but for all that, Roberts seizes the gift of narrative introspection. The characters think, feel and remember in ways that a screen or audio play could simply never have accommodated, and these moments provide a refuge for many of the new jokes, sly references and likeable character traits that bring the book its fullness. 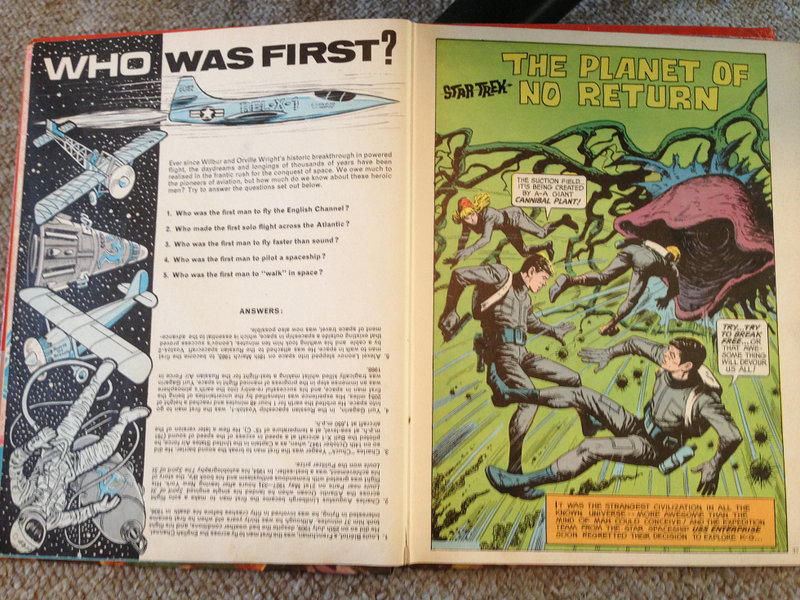 I’ve gobbled up every scrap of Shada over the years, and yet I still found many things to like about this book. It may not be the definitive version – there was only ever one man who could have written that – but it’s a fine addition to the bookshelf, a contented romp across familiar fields, and a far more confident adaptation of another man’s work than the sixth Hitch-Hiker’s book ever managed. Also, it made me fancy Romana. I’m not too late, am I? In my bed like a mouse. To last through the night. To drag me from bed. And stay still as the grave. 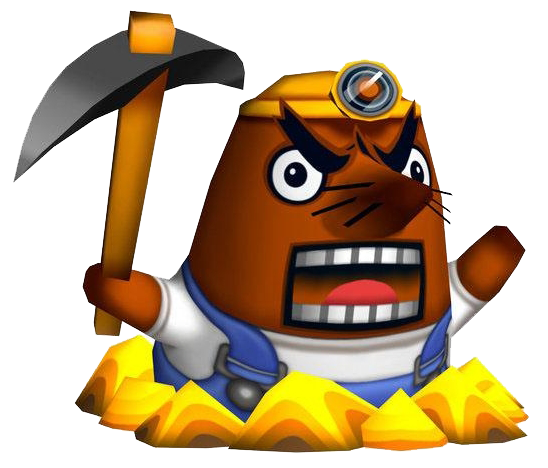 People occasionally complain that Animal Crossing, packed to the gills as it is with Harvest Festivals and Graduation Days, pays short shrift to the British calendar – most notably, there’s no animal equivalent of Guy Fawkes Night. This is true, but if you stand back and consider the occasion from an outsider’s perspective it’s a rather grisly affair. And for a cat, that’s doubly unpleasant. With such a grim and relatively recent event underpinning the holiday, it’s perhaps not that surprising that Nintendo carefully disassociate themselves, saving up the fireworks (and the bonfires) for New Year’s Eve instead. I had reason enough to celebrate, though – Nook had stuck to his word and his magical construction fairies had added a second floor to my already-expansive house. Deciding to convert the upper storey into a dedicated retro-gaming sanctuary (depressingly like my actual living arrangements) I lugged all of the NES games out of the basement – unfortunately, even when all lined up they barely filled a corner of what was now a very large and very lonely house. Deep down I’d always known my house was a bit spartan (so-called because of the Greek warrior caste who owned very little furniture and only a couple of NES games). In fact, I’d get daily letters from the distant and damning “HRA”, an organisation devoted to sneaking into people’s houses at night and making bitchy comments. “Your house looks like a warehouse,” they’d proclaim. “Pick up your damn socks!” “Stop being so lazy and buy more dishwasher salt!” The gits. The M6 was already shut. SNOW!! 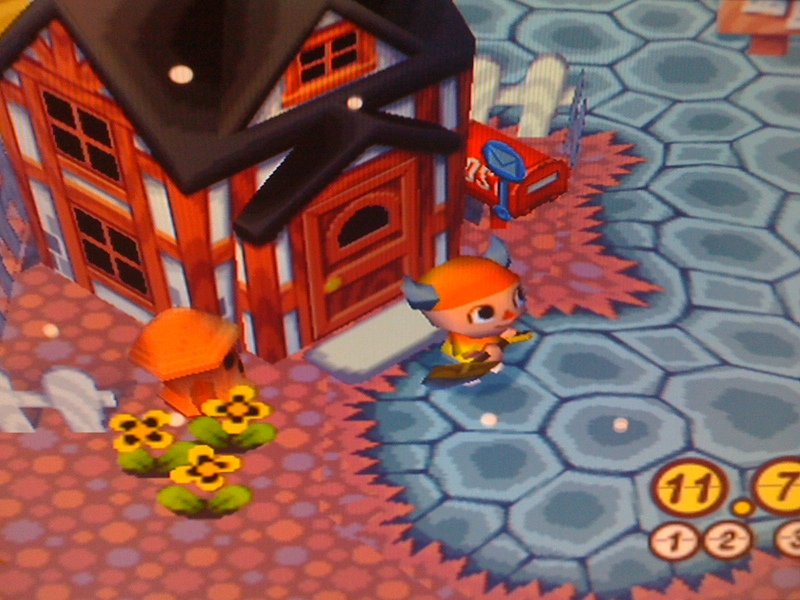 The bane of my suburban existence was drifting lazily from the sky in my Animal Crossing world, instantly reverting me to an excited ten year old. It was far too early for it to settle, of course, the flakes fluttering to oblivion as they approached the ground, but it was a welcome sight nevertheless. Less welcome was the length of time it took to actually go shopping – Nook always forced you to trudge through the same old dialogue whenever you entered or exited his store, but he’d also hired two diminutive cousins to run the upstairs of his shop with some unskippable patois of their own. In total, the daily stock check now requires you to hammer the A button through at least four unchanging conversations, each bubble appearing torturously one letter at a time in that classic Nintendo “style”. It is, frankly, a bit of a pain. The following Sunday saw some commotion around the village pond – there was a fishing tournament in progress, organised by a strange and rather disingenuous newcomer named Chip, who was simply eating all of the fish presented to him. It couldn’t be just any fish, mind you; something of an epicure, Chip was only willing to dine on bass. Not small bass, not sea bass, not buttery biscuit bass – only the largest and juiciest river bass would suffice, which added an unusual element of strategy. Other villagers had already taken up most of the prime fishing spots, forcing some unusual angles and a number of failed casts before I was finally able to land a 23-incher and win some furniture. The following days saw a succession of new villagers to replace Nibbles – who’d followed me invisibly to Serenity, and stayed there – and before I knew it I’d maxed out my population, which causes Mayor Tortimer to shamble around in a drunken stupor building random bridges when you talk to him. 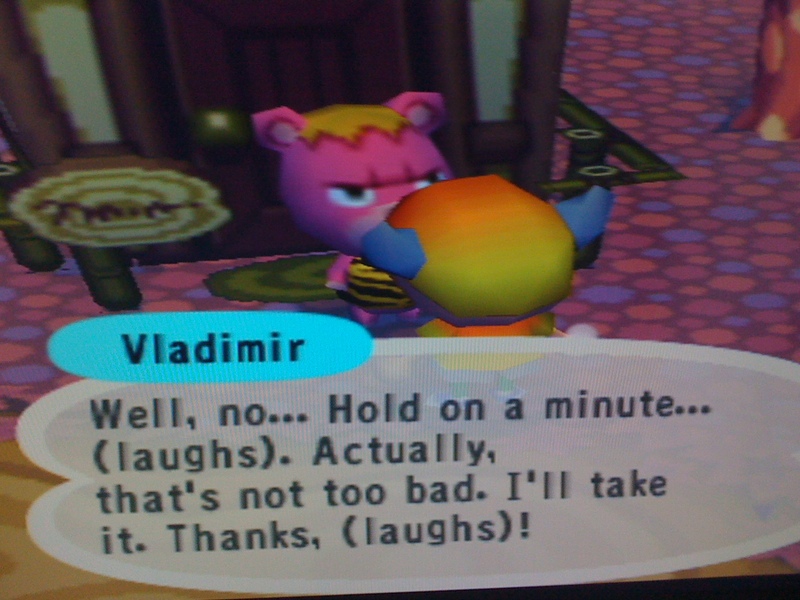 My favourite of these new arrivals: a grouchy pink bear named Vladimir. No, not that. Nintendo’s big bruisers were on their way – Mario and Link were here to claim the holiday for themselves, and they’d brought backup in the form of Skyrim and Arkham City. 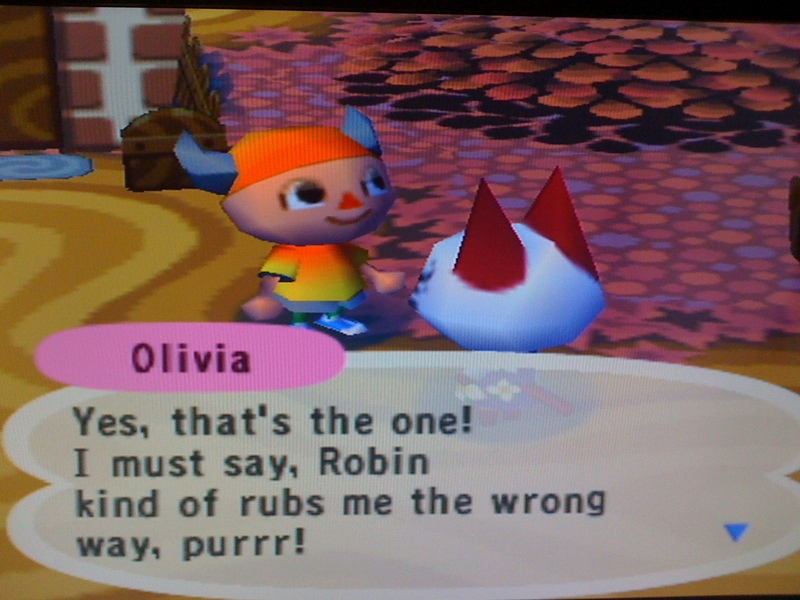 Would Olivia and Totakeke really be able to battle Batman for my attentions and claim my diminishing leisure time? And if they failed, just what would happen to the utopia I’d crafted?